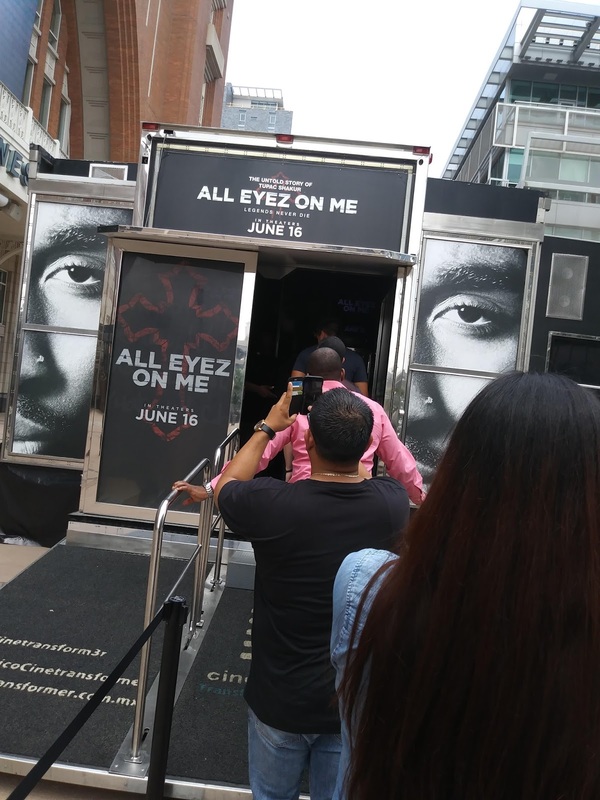 A good way to get out of the heat was seeing the exclusive sneak peek of the new Tupac Shakur biopic "All Eyez on Me". 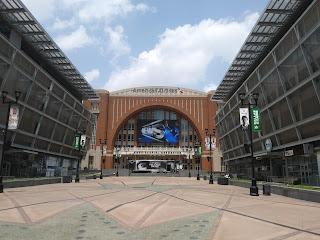 The portable theater was definitely a change, with comfy seats and cup holders (i got to get me one for my backyard) but enough about the theater. This was a exciting behind the scenes look into the making of this epic film. With his friends and family being involved, this was definitely a labor of love. 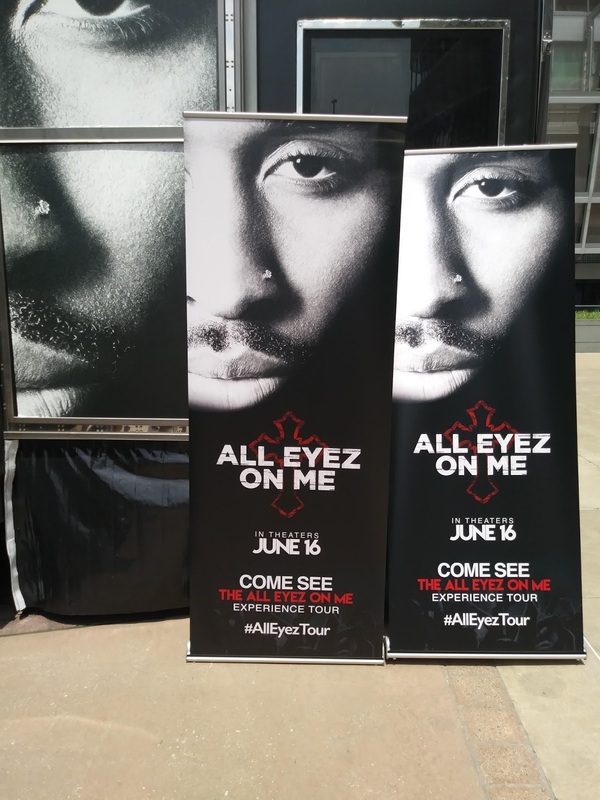 The jaw dropping identical doppelganger Demetrius Shipp Jr. plays Tupac Shakur, ironically enough his father actually worked with Tupac on one of his albums. Jamal Woodlard reprise is his role as Biggie in the anticipated film also. 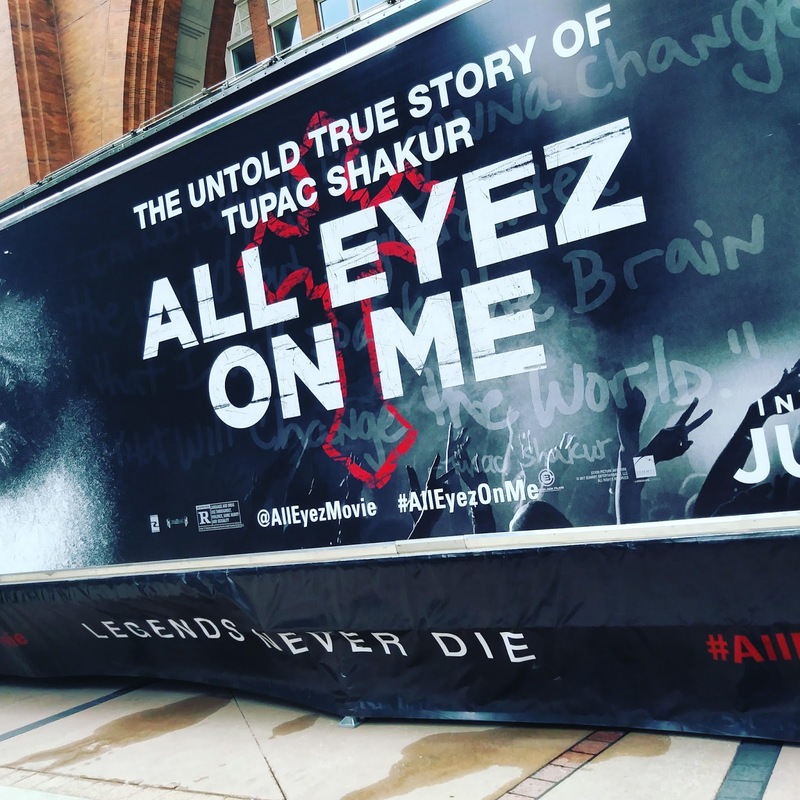 I am definitely excited for this new film that will be releasing on Tupac's birthday June 16th go check it out. Can a whole lifetime be truly documented for the screen? Director Benny Boom (48 hrs To Live, S.W.A.T., Next Day Air) successfully films a moving depiction of Tupac Shakur's life. Beginning before he was even born, this film is a loving memorial to the rapper and actor. 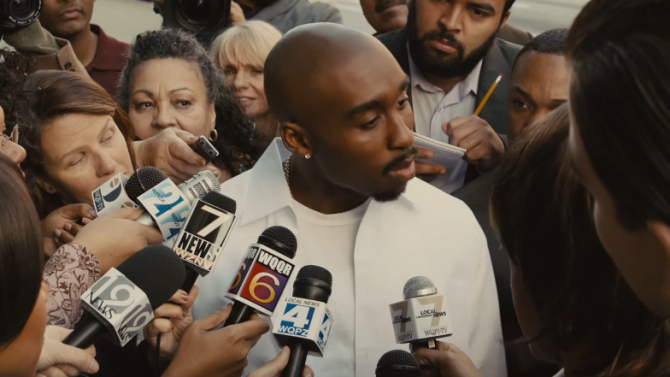 Demetrius Shipp Jr. a absolute dead ringer for the artist absolutely embodies him taking a deep look into where Tupac came from. The film was set during a interview when he was still in prison the reporter was played by Hill Harper (CSI: New York, Concussion, He Got Game). A poet and scholar Tupac became who he was because of the influence of his mother Afeni Shakur played by Danai Gurira (The Walking Dead, My Soul To Take) which she instilled a love of the word and education. While at an art school he met long-time friend Jada Pinkett played by Kat Graham (The Vampire Diaries, 17 Again) where they had a very deep and connected relationship. Unable to control his living situation he moved from New York to the West Coast in California. That was definitely a defining moment for the rapper when he quit school and begin his music and acting career. Dealing with his mother's drug addiction was probably the hardest thing he had to deal with not to mention taking care of his little sister. With all this going on his career ignited like a rocket soaring to heights that most artist never even see in their lifetime. With four albums while he was alive (7 more posthumously) and at least 11 movies he starred in Tupac Shakur will forever be a legend in his own right. Demetrius Shipp Jr. definitely was Tupac in this film he didn't exactly sound like him but he had his eyes down pat. The most interesting thing about the movie is that Demetrius's father L.T. 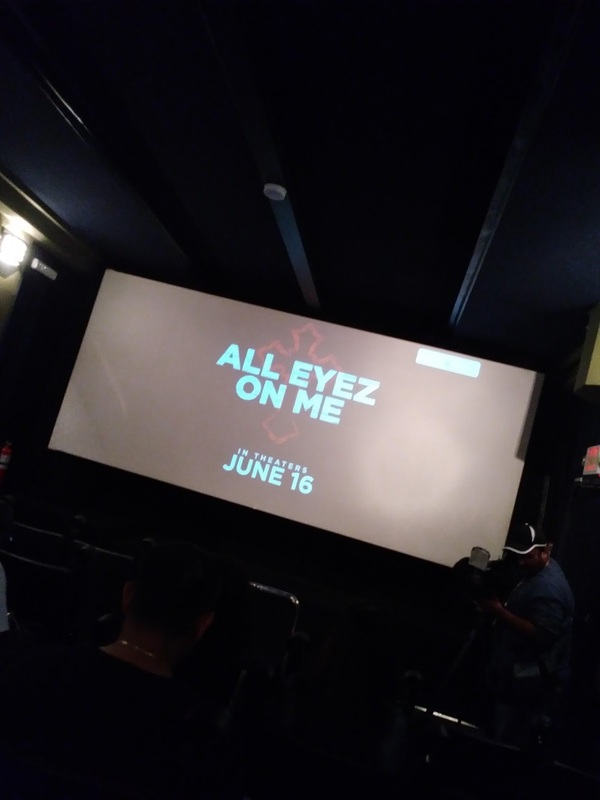 Hutton also a producer of the film actually personally knew Tupac and helped him produce his albums at Death Row Records, so this movie is a labor of love from friends and family. The 2 hr and 20 minutes flew by, i was so engrossed in the film i didn't want to miss a minute. The film paints them as a real human being and not just what the media made him out to be. Just a man that had such incredible talent and with that talent comes people that want what they can't have. That I truly believe was his downfall is having trust in others and just wanting to be a normal person, not a huge celebrity. 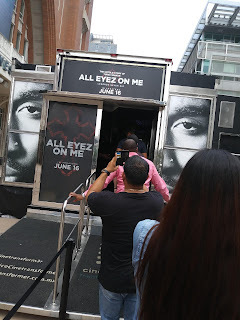 He was humble and Demetrius Shipp Jr. depicted him as so, even in his death scene it wasn't gratuitous at all this was a loving tribute to him. 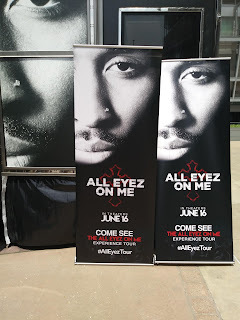 The movie will be released today June 16th Tupac Shakur's birthday he would have been 46 yrs old today. R.I.P Pac you were beyond your years and this ungrateful world didn't deserve you. 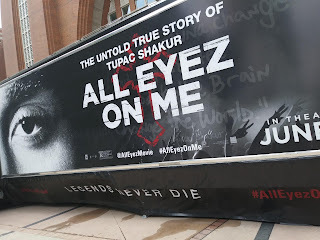 Go out and see this movie about the man, the myth, and the legend Tupac Shakur it's definitely worth the ticket.